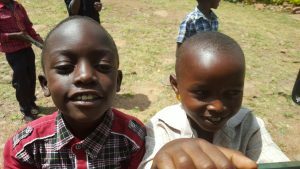 Service Journey Home Tour – Travel to Expanding Opportunities’ Joseph Waweru Home School in Kenya and stay there for a service project. Work in schools; assist in the organic gardens mulching, watering, harvesting, planting; work on a building or maintenance project; choose a craft or art project to do with the kids; or come up with your own service idea. Stay at the home and enjoy home cooked Kenyan food with an occasional journey into town. A shopping day for art and souveneirs is included. This journey provides less traveling and more cultural immersion. Additional travle or a Safari may be arranged at your own cost. Gather your friends and travel together. The more people who go, the more savings you enjoy!